I took enclosed photos about home made "throttle control" made from fuse removal tool. I made it during the last driving season. Roughly 1500 km tested so far. When adding ring of bladder between orange shaft and handle bar it started to work perfectly. Quite safe and easy to control the throttle. Very useful in highway where I need to drive time to time. I copied the idea from Finnish biker forum where a biker presented his innovation. Here it is for wider distribution. 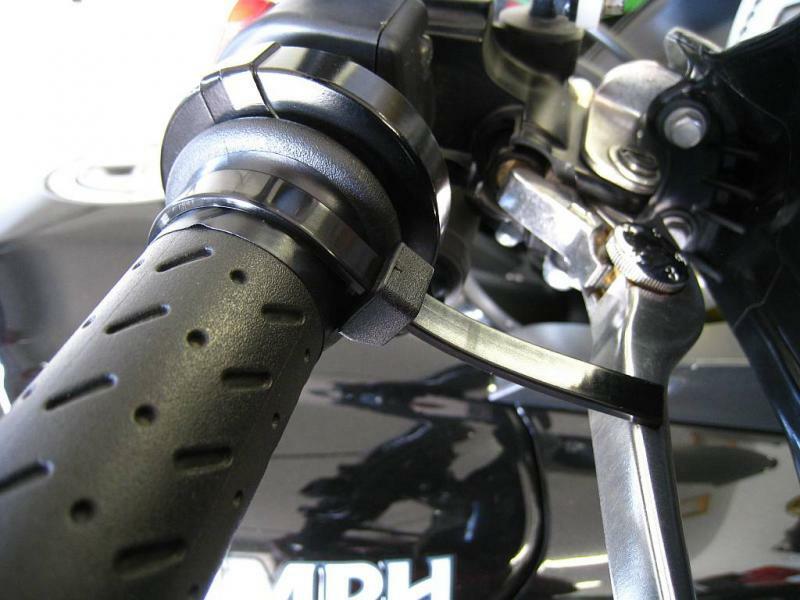 Nice, a little word of explanation how you get it in the shape of your throttle ? At moment I use a "elaborat" home made throttle lock, I´ll post photos later.